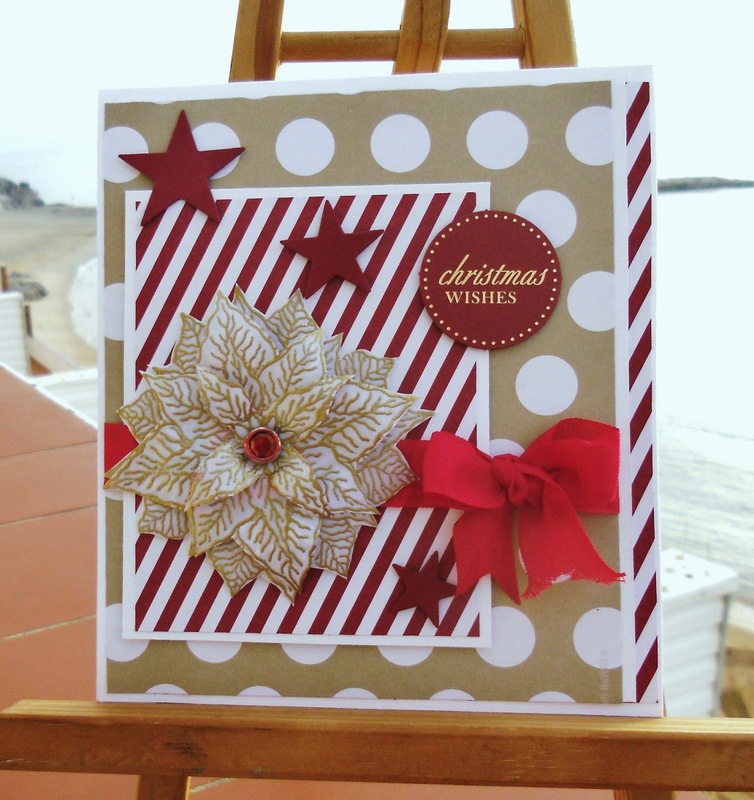 That Poinsettia looks great stamped on vellum, lovely card. This is gorgeous Sylvie and love the flowers and design. Good news hat hubbies wrist wasn't broken. Gorgeous card Sylvie. So glad Roy has only sprained his wrist....tell him to take more water with it! I'm sure you have a wonderful bedside manner......lol. Snap! Great minds think a like. Vellum poinsettias rule! Great card. Have a lovely Sunday as (Naughty?) Nurse Sylvie! I keep forgetting that poinsettias also come in creamy white.as your lovely card shows! They look good in vellum too. Hugs Mrs A. (CCC). That poinsettia layered on the vellum is gorgeous! Sorry to hear about Roy hope he's appreciating your efforts as Nurse Sylvie!!! Hi Sylvie - I love the design/layout of your card - really up to the minute papers as well. Your poinsettia has a real 'ooooh' about it! Glad that Roy's wrist wasn't broken after all, although I bet is is just as painful, if not more so. A great colour combo and lovely details. Sorry to read about Roy - but after his hospital visit it sounds like the bed-baths will be off the cards now! !